The news that the United States is to send 3,000 troops to Liberia to build isolation hospitals, while Sierra Leone has implemented a national lock-down to try to contain the Ebola virus underlines how serious the epidemic in West Africa has become. Thousands are now infected, with new cases spreading ahead of the ability to treat or isolate patients. With no actual cure, survival seems to be a function of the quality of medical and nursing care of the symptoms, mainly fluid and electrolyte replacement. The New Scientist magazine (9 August) quoted the mortality rates as 74% in Guinea, 54% in Liberia and 42% in Sierra Leone. A huge problem is that without rigorous precautions, it is precisely those providing care that are most at risk of infection. 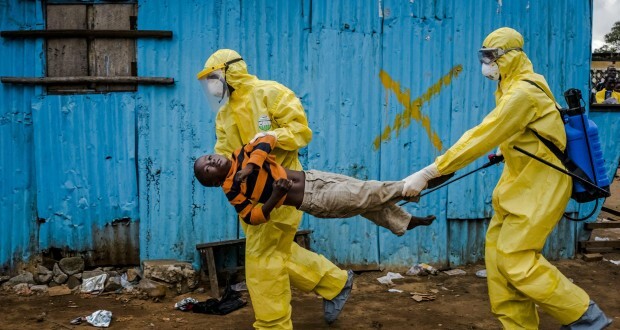 This only goes to show the heroism of the health workers of the west African nations, and some western volunteers, who are to be seen in protective gowns, masks and goggles, trying their level best to contain the virus. Reuters described a nurse in Sierra Leone working for hours at a stretch in full protective gear in tropical heat, as she and others worked to raise the odds in favour of her patients’ survival. Sadly, she had to give a false name, such is the fear generated by the virus. There have been reports from Liberia of landlords refusing to rent to nurses, and in Guinea health workers have been attacked and even killed, wrongly suspected of helping spread the virus. Yet without the efforts of these workers, and of the charity Medecins Sans Frontieres, the virus would already have spread far and wide. In September nurses at John F Kennedy hospital in Monrovia, Liberia, took strike action to demand better pay and equipment to protect them from the Ebola virus. Previously, in July, 20,000 health workers in Liberia went on strike to demand an increase in the $150 a month pay they were getting. Some had not been paid for three months. Trade unionists in this country should stand in solidarity with those workers taking action. “This Committee salutes the health workers of Sierra Leone and other West African countries who are on the frontline in the struggle to contain the current outbreak of Ebola virus. At great personal risk to themselves these health workers are treating patients in often imperfect facilities in full protective clothing in tropical heat for very modest salaries. “Despite all possible precautions a high number of these heroic workers have become infected and subsequently died. Even pro-capitalist commentators have admitted that economic conditions have a crucial role in the spread and response to the virus. Business Monitor suggests that efforts to contain the outbreak have been hampered by “weak state capacity, lack of public funding and poor health infrastructure”. 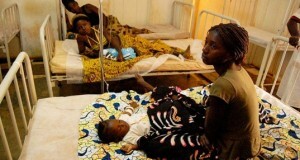 The state of health systems of West African states is also covered in a second report issued by the medical charity, Wellcome Trust. It argues that because of under investment in medical research the affected countries do not have a viable scientific research community capable of developing home-grown potential drug treatments or tests for Ebola or other diseases. The terrible health systems and weak scientific base are not just a consequence of the colonial legacy and a post-colonial failure of development; the reality is that what little had been built was deliberately dismantled by the IMF and World Bank. In Guinea, for example, the Bamako Initiative of 1987 led to a shift towards a fee-paying healthcare system leading to many treatments being beyond the reach of ordinary citizens. The Bamako Initiative was drawn up in collaboration with the World Bank and led to the decentralisation of healthcare across Benin, Guinea and Nigeria. The decentralised system has stymied the ability to formulate an effective national plan against Ebola. In Sierra Leone, free healthcare only extends to pregnant and breast-feeding women and children under five. And these countries pay more in interest on debts to the World Bank and International Monetary Fund (IMF) than they spend on healthcare, education, or infrastructure. Other health statistics indicate why the West African states have struggled to contain Ebola. Guinea spends only $62 per person on health each year, compared with $3,364 in the UK, and Guinea has the lowest number of hospital beds per capita in the world. Sierra Leone has just two doctors per 100,000 people, compared with 245 in the US. Even nominally wealthy Nigeria has a lack of medical personnel. It is estimated that as many Nigerian doctors are practising in the US as there are working in the Nigerian public service. The economic impact of Ebola on the affected states is considerable. Within the internal economy, a combination of the cases of infection and a fear of the virus appear to have had an equivalent impact to that of an environmental disaster. Crops rot in the fields, mines are abandoned and goods cannot get to market. In quarantined zones in Sierra Leone and Liberia, key cash crops such as cocoa and coffee have been left rotting in the fields as farmers fear to stray far from home. Agricultural problems are not only confined to exports. In township markets, supplies of staple commodities such as rice are already dwindling, with only the bravest traders willing to venture far afield to buy stocks. Rather than address the fall-out, several of the actions of the African governments have been directed to appeasing international capital management. This is the basis of a charge made by Amadou Soumah, a trade union official in Guinea. It was only during mid-August that Guinea declared Ebola to be a national emergency. This is despite the country being at the epicentre of the outbreak, with the first cases reported in March 2014. Soumah argues that the government played down the crisis “to stop investors fleeing”. 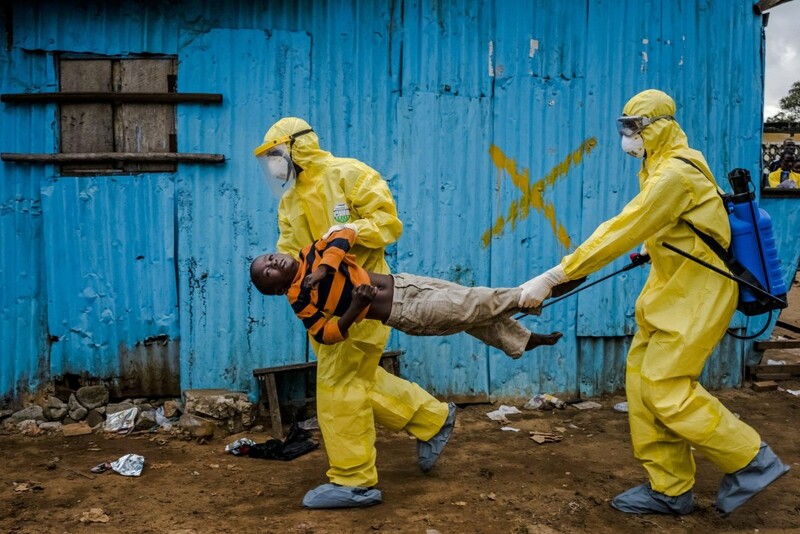 Galvanised by the realisation that a mass Ebola outbreak in West Africa has the capacity to spread, the UN, US, Britain and France have begun to commit resources to the fight against Ebola. Although the epidemic may have stabilised in Guinea, the number of cases in Liberia and Sierra Leone continues to accelerate. Britain and France are to build a field hospital in each of their former colonies, and the US has said it will build far more in Liberia. 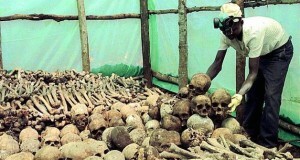 Socialists should insist that the resources necessary to contain Ebola are found. Instead of paying billions of dollars on bombing the Middle East, a fraction of that money should have been sent to West Africa. The health workers of West Africa must be respected and supported not feared and taken for granted. 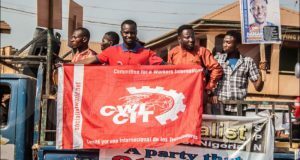 The health unions internationally must find a way to get money to their West African colleagues to ensure they are looked after and have full trade union rights. The Ebola outbreak shows that the IMF and World Bank pushing the mass of the population in these countries into dire and abject poverty can affect the advanced capitalist nations too. The virus respects no borders and we live in the same world as the workers and farmers of Guinea, Liberia and Sierra Leone. Only a socialist transformation of West Africa, including the involvement of the mighty Nigerian working class, can ensure that these nations have the infrastructure, finances and scientific resources to combat Ebola and all the other tropical diseases which afflict the populations there. It is noticeable that none of the prospective treatments for Ebola have been developed by the ’free market’, despite the virus being known since 1976. The ’miracle cure’, Z-Mapp, used to treat infected US personnel and British nurse, Will Pooley, was funded by the US Department of Defence out of considerations of bio-terrorism. Now a drug that interferes with Ebola’s reproduction, Tekmira’s TKM, is being rushed into production, having shown some promise in early trials. It also has been funded by the US Department of Defence. This is the case even though, as the Financial Times commented: “Ebola is no invincible superbug”. The FT reported: “The most striking aspect is how many experimental candidates there are; at least 15 Ebola drugs and a dozen vaccines have been developed as far as pre-clinical (animal) testing. Scientifically, Ebola is an easier target than viruses such as HIV and flu because it does not mutate so rapidly. Unfortunately, however, none of the candidates has been put through the far more expensive process of clinical trials to assess safety and efficacy against Ebola” (15th August 2014). But there is little profit for big pharmaceutical corporations in a drug to treat intermittent virus outbreaks, especially in the world’s poorest countries. There is a lot more money in drugs like Statins, that people will take for decades for less serious conditions in the richer countries of the world.